From the hand-painted sign out front to the Nascar promotional stuff in the windows, to the cracking paint of the VFW hall that surrounds it, nothing about Charlie's prepares you for the bar you'll find inside. I refer not to the business, but to the physical bar itself, a huge, antique, mahogany Brunswick-Balke-Collender bar that runs for 20-some feet along the back wall of the surprisingly large barroom. 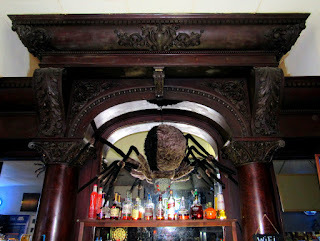 Tara the bartender informed me that the bar was shipped to the west coast and its current location "some time between 1910 and 1913," and the location had been a saloon for at least a few years before that. A sign painted on the VFW hall now in the adjoining section of the building states that it was constructed in 1910 for James E. Crass, features 12" concrete walls, and has housed the Crass Tavern, Brook Saloon, a theater for 30 years, a bowling alley, doctor's office, barber shop, Golden Rule store, Smoke Shop Tavern and the VFW. My limited records for Montesano from city guides show "Sib's Smoke Shop" at this address in the late 70s and early 80s, and "Jim's Smoke Shop" here in 1994. 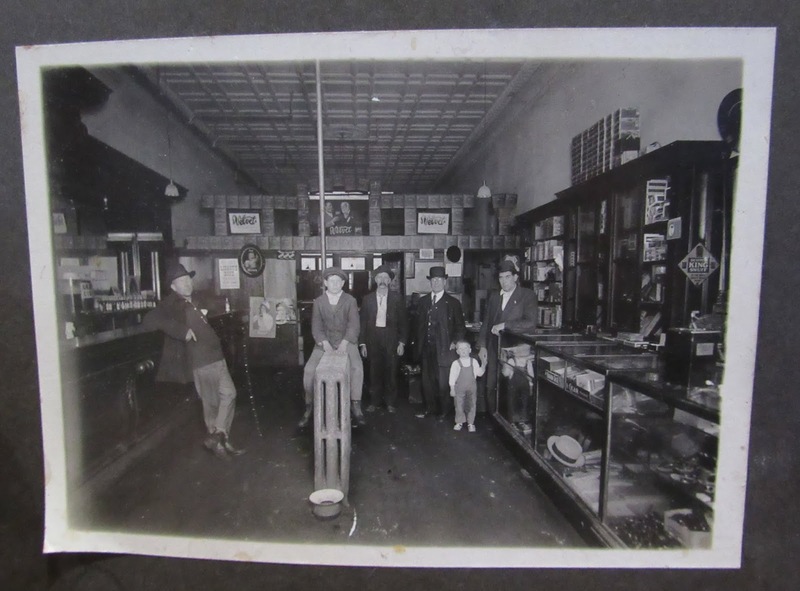 It also shows "The Smoke Shop" at 317 Main, which I would seem to be the 3rd portion of the building that was razed and is now a parking lot, from at least 1935 through 1970. 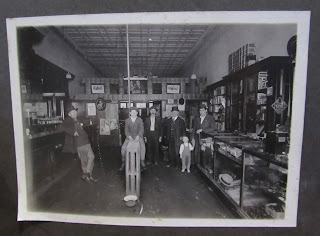 (The 1941 Polk guide list The Smoke Shop under Cigars, but not under Beer Parlors.) 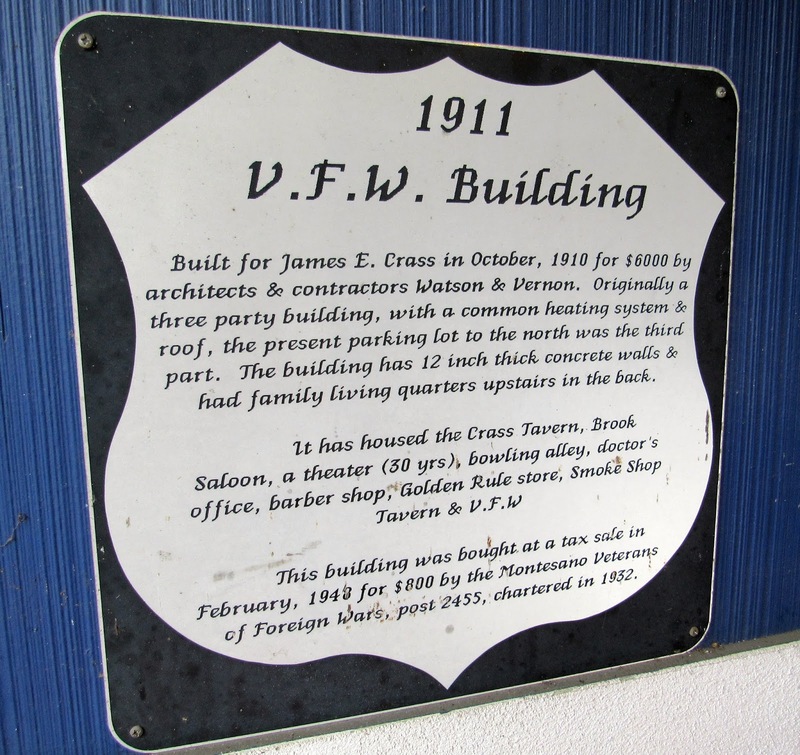 City guides also list "The Brook" on Main Street under saloons in 1911. 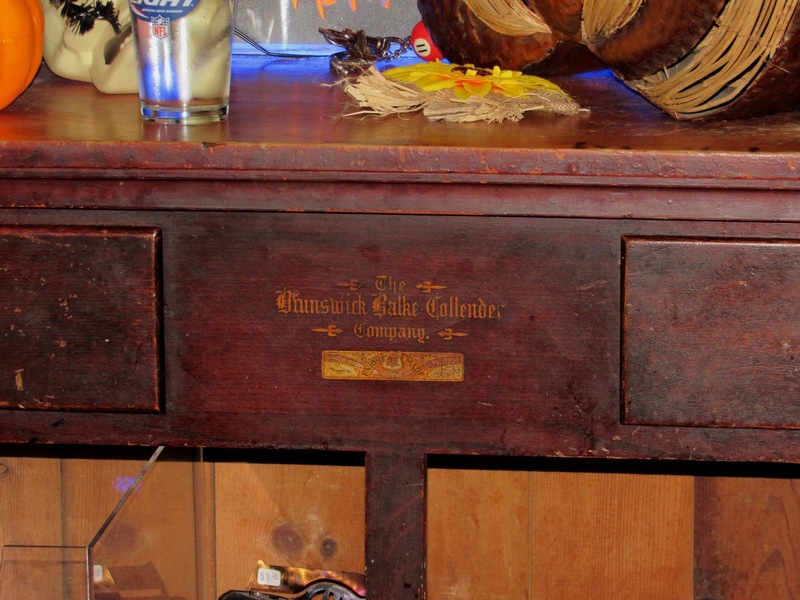 A plaque near the top of the center portion of the bar states that it was patented in 1903.
smoke shop, but not a (licensed) saloon at the time. 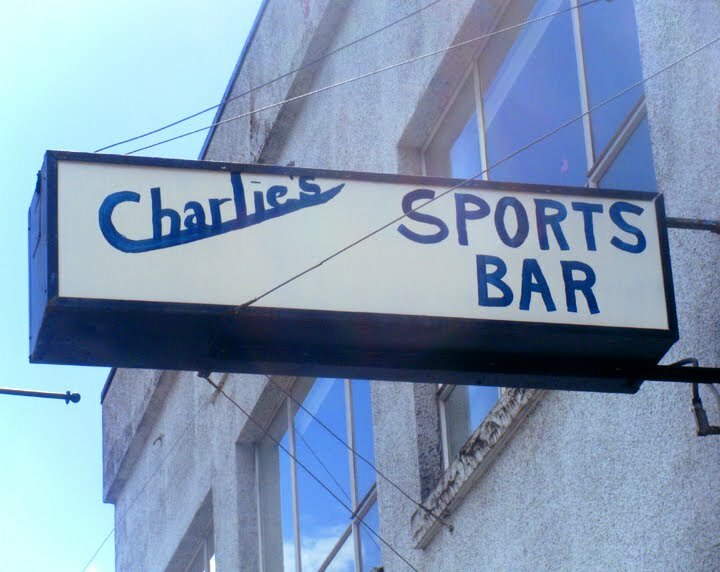 Current online listings refer to the bar as both "Charlie's Tavern" and "Charlie's Cavern," but "Charlie's Sports Bar" is what the signs out front say and which Tara confirmed was the current name. 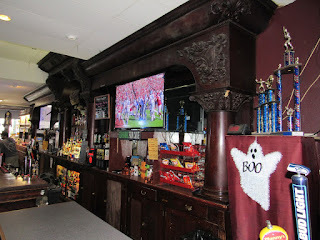 We stopped again in Charlie's on Oct 28, 2018 to wet our whistles and get some better photos of the bar. 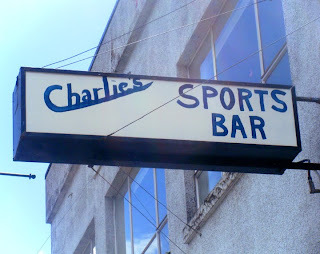 The folks there were really friendly, and I'd recommend it to anyone passing through the area, including folks from Seattle heading to the Long Beach peninsula as we often do.